DAILY DEPARTURE . 2 PERSONS TO GO! Experience an exhilarating ride down river with us! Calling thrill seekers and nature lovers. 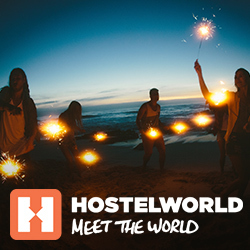 Even first timers — come discover your inner adventurer! Anyone who is psychically fit can white water raft! Our white water rafting programs are suitable for beginners and advanced rafters. 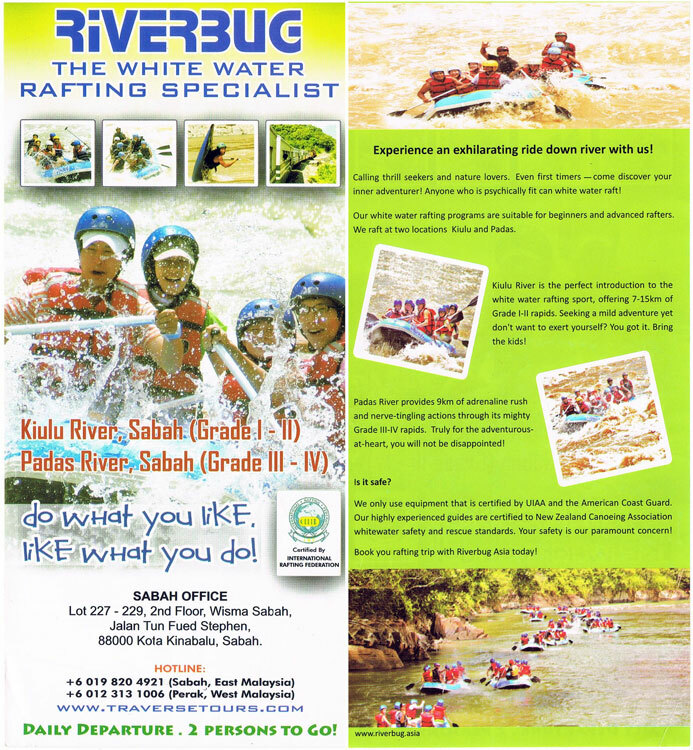 We raft at two locations Kiulu and Padas. Kiulu River is the perfect introduction to the white water rafting sport, offering 7-15km of Grade 1-11 rapids. Seeking a mild adventure yet dont want to exert yourself? You got it. Bring the kids! Padas River provides 9km of adrenaline rush and nerve-tingling actions through its mighty Grade III-IV rapids. Truly for the adventurous-at-heart, you will not be disappointed! We only use equipment that is certified by UIAA and the American Coast Guard. Our highly experienced guides are certified to New Zealand Canoeing Association whitewater safety and rescue standards. Your safety is our paramount concern! Book you rafting trip with Riverbug Asla today!